Radish offers many health and nutritional benefits. Radishes are low in calories. It has a good source of vitamin C, phosphorus and zinc. Because of its high water content, it can help keep our body hydrated. Radishes are very good for the liver and stomach, and it acts as a powerful detoxifiers. Many do not like radish because of the pungent smell, but you will not know that in this curry. This curry taste great with chapatis, parathas, phulkas and rice. Today we will learn how to make radish stir fry/curry following this easy recipe with step wise pictures. Wash, cut off the ends, peel the skin and cut radish into 3 pieces. Then cut it lengthwise like matchsticks (shown in the picture below). Heat oil, add mustard seeds, when it splutters, add thinly sliced onions, green chilli and curry leaves. Saute until onions turn transparent. Then add radish, sprinkle water, cover and cook on medium flame. After it is slightly cooked, add turmeric powder, chilli powder and salt needed. Cook covered, stirring in between until tender. Do not add too much water (if needed just sprinkle water and cook covered). Once cooked, add grated coconut, mix well and switch off the flame. Garnish with coriander leaves and serve as a side dish for rice or as a side dish for chapati. Never tried poriyal this version using radish.... Bookmarking ! I too agree with you. radish looks simply delicious and mouthwatering. Excellent preparation. I'm not a fan of mullangi and this is the only recipe I make/love with mullangi. 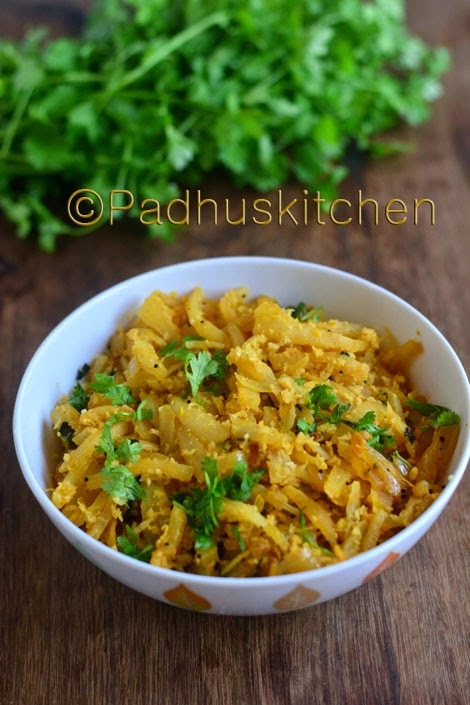 I normally grate the vegetable and make poriyal with it. Excellent recipe it was incredible to eat! I tried.. It came out well and tasty too.. I tried this recipe and it came out wonderful. The taste was amazing. Thanks for sharing it.